After we took three points at the Madejski Stadium, many have analysed the game in a variety of lights. Was it good that we got the three points? Bad that we had to come from behind and win 2-1? More to the point, what was it that Aston Villa got right (and wrong) that resulted in the performance that happened. On the face of it, the win was just what Villa needed. 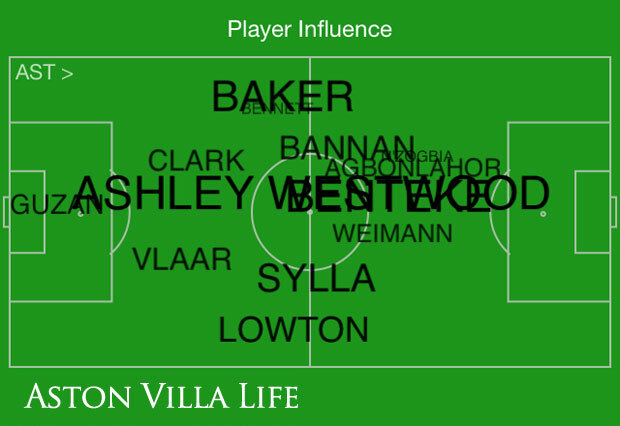 Though it was, on the face of it, a narrow 2-1 win, looking deeper into the game does illustrate that Villa were dominating in multiple areas. 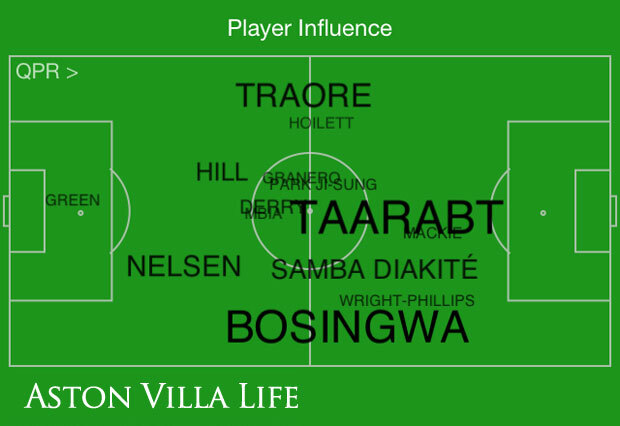 Whether one wants to look at the passing statistics, the possession, shots on or off target, or how players influenced the game, Villa were the better team. The only area where Villa were second best in reality was crosses – something this is hardly a surprise when you consider the lack of true wide players in the team. 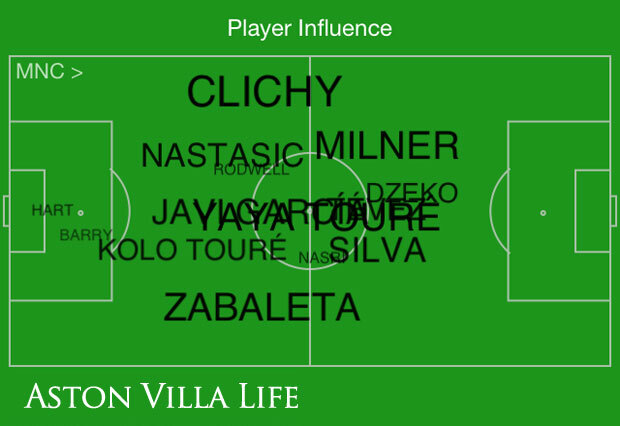 What was key, and fairly unusual for Villa was the influence exerted by players in the team. To illustrate this, I can show a comparative graphic, first of Villa’s influence vs Reading, and then a selection of other games where we have won, drawn, and lost. 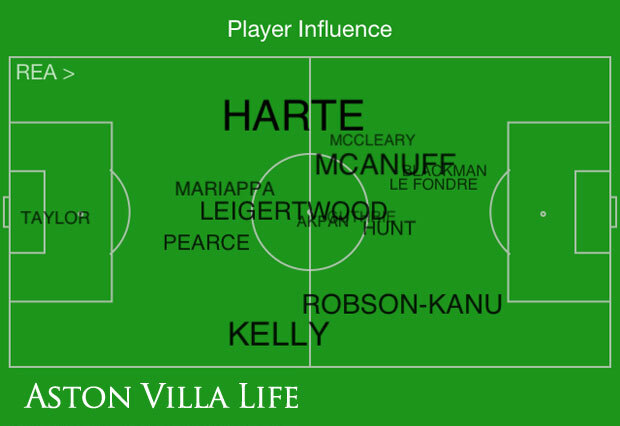 As you will see from the visuals, Villa had significantly more influence of the game against Reading than against Queens Park Rangers at Loftus Road. Some may suggest that the dominance of Reading is down to their lowly position, but the fact that Villa were second best against QPR away shows that position doesn’t always correlate with peformance. Looking at the Manchester City game, there was a solid performance from Villa, something that was reflected in the narrow 1-0 loss, the goal coming from a moment of madness from Ciaran Clark. So where has this improving influence on games come from? One player who has made a difference is January signing Yacouba Sylla. Whilst some fans have questioned his signing, suggesting that he is either wasted by not being played, or a waste of time being signed, his role as the second highest player on the pitch for passes (behind Ashley Westwood) and the third on the pitch for interceptions (behind Ron Vlaar and Reading’s Stephen Kelly). Against Reading, it was Westwood who was really pulling the strings. 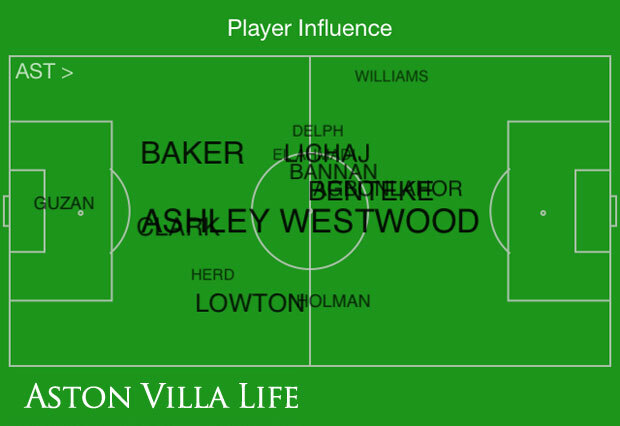 Not only was Westwood the best passer on the pitch, his influence was the highest of all players involved in the game. Again, Westwood has had mixed reviews from fans though few should doubt he is developing. OK, he was far from a finished product when we signed him, and is still a long way from his potential now, but the difference is there is undoubted potential in the young lad. I know potential is something that seems to be discussed with sickening regularity, closely followed by said player ending up doing nothing at all of note and slipping away via the exit door to a lower league team. 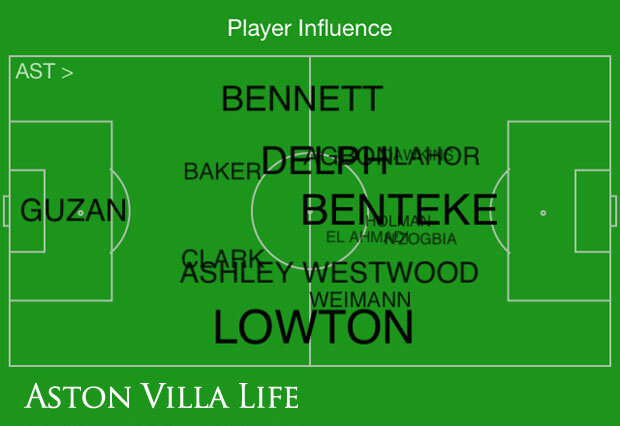 With some of the players Lambert has signed though whether in looking at those with significant impact already (such as leading scorer Christian Benteke or the ever-present Matthew Lowton) or those who are still developing (such as the aforementioned Westwood and Sylla), the potential is there. The only hurdle – a big one admittedly – is surviving in the Premier League and being able to kick on next season. One thing that Villa must do against QPR is stop the opposition from getting out wide. If they do, the influence information from the away match at Loftus Road shows there is a lot of potential to damage us. However, minus that wide threat, Rangers are able to be nullified and beaten. 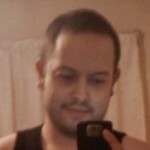 What wil happen next season promises to be better on the premise that Villa can survive this season and avoid the drop. If the club can, and a win against QPR would be the ideal tonic, then perhaps some of that potential will start to be realised after a long period of hyped, yet largely unsuccessful, young players plying their trade at Villa Park. This entry was published on March 11, 2013 / Matt Turvey. 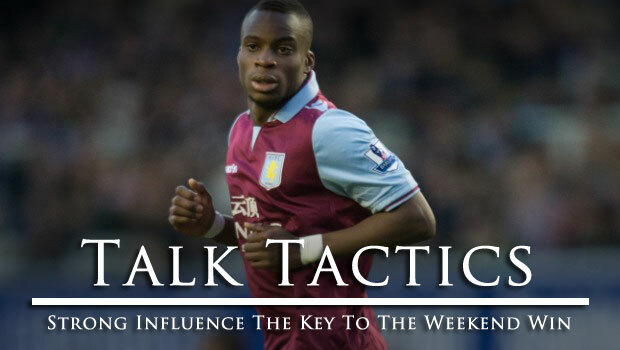 Posted in Aston Villa Blog, Columns, Talk Tactics, Turvey's Thoughts and tagged "Aston Villa Crisis", "Aston Villa Relegation", "Aston Villa Survival", "Christian Benteke", "Gabriel Agbonlahor", aston villa away win, reading, reading away, yacouba sylla. Bookmark the permalink. After a win against Reading, Matt Turvey looks at how Aston Villa's growing influence of game may be the key to the Birmingham club's survival this season. Amidst the rumors of Randy Lerner selling Aston Villa, writer Kristina Montesano takes a look at several options for a new owner.